Melatonin for dogs is a sedative hormonal supplement used to treat many kinds of anxiety, hyperactivity, restlessness, and other conditions. It is a naturally occurring hormone produced by the pineal gland. Many pet owners prefer to use it for their dogs instead of drugs that may contain chemicals and have harmful side effects. You can purchase melatonin over the counter, though the FDA has not approved it for use in dogs. You should not give it to your dog without first consulting a veterinarian, as it may react poorly with certain medications, worsen some medical conditions, and pose risks for pregnant dogs or puppies. It has not been thoroughly studied for side effects in canines, though it is generally considered to be safe for dogs, and most owners only report rare and minimal side effects. 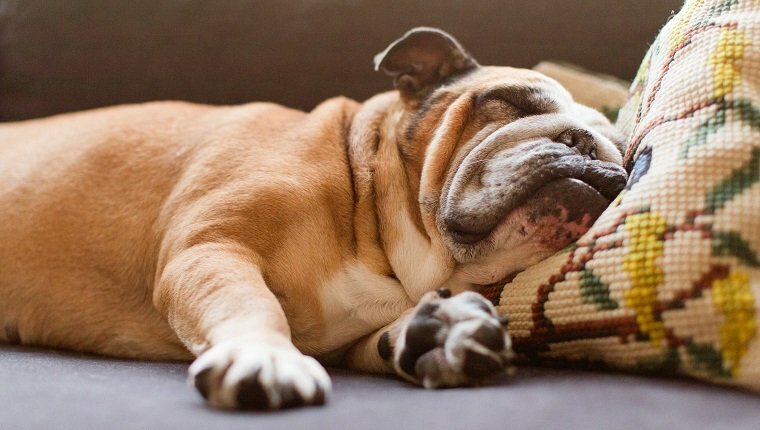 Here’s what you should know about the uses, dosage, and side effects of melatonin in dogs. Melatonin for dogs generally works as a sedative by supplementing the naturally occurring neurohormone produced by the pineal glands. It is often used to calm dogs who suffer from different types of anxiety, such as separation anxiety or noise anxiety caused by fireworks, thunderstorms, etc. Any kind of phobias or panic may possibly be reduced with melatonin, and some dogs have been entirely cured of their fear of loud noises with use of this supplement. It can also be used to treat dogs who are hyperactive or those who have epilepsy, and there is some evidence that it may treat certain types of alopecia. Some dog owners give melatonin to dogs to help them sleep at night, especially older dogs who might have disrupted sleep patterns. Canine Cognitive Dysfunction is a condition in dogs that is similar to Alzheimer’s in humans, and it makes it difficult to sleep. Melatonin helps reduce restlessness and aids sleep, and its effects usually last for about eight hours. 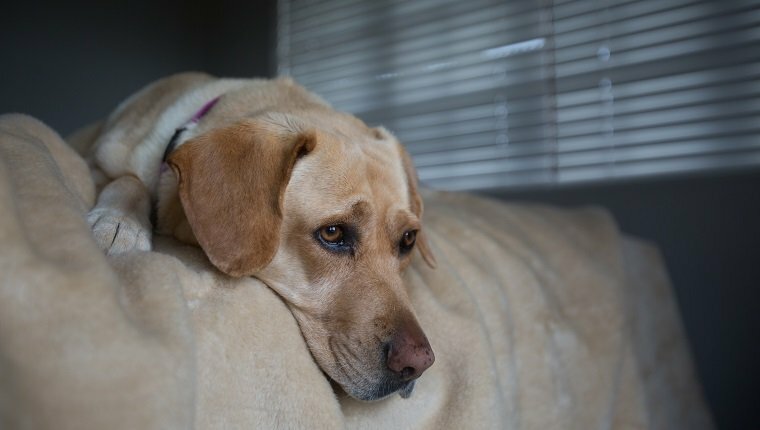 The proper dosage of melatonin for your dog should be determined with the help of a veterinarian, as individual dogs may have different needs based on the conditions being treated. Some veterinarians recommend introducing melatonin gradually, then increasing the dosage as needed. 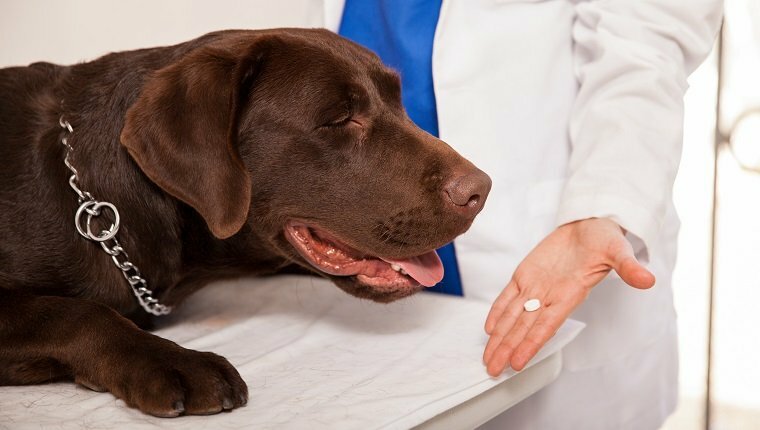 Always consult your vet before giving your dog supplements or medication. The usual dosage of melatonin for dogs depends on size. Dogs less than ten pounds should take 1 mg. Dogs ten to 25 pounds usually take 1.5 mg. For dogs 26 to 100 pounds, 3 mg is recommended. Dogs over 100 pounds may take 3 to 6 mg. You should not administer these dosages more than 3 times per day. Melatonin comes in tablet, capsule, powder, and liquid forms that can be given with or without food. It usually starts working within ten to 15 minutes after a dog takes it. Effects last for about eight hours if they take the correct dosage. For this reason, owners often give it to their dogs immediately before bed to provide a full night of sleep. There are few reported side effects of melatonin in dogs so long as it is administered correctly and at the proper dosage. In fact, the lack of side effects often makes it a better choice than tranquilizers or other drugs. Still, there are a few side effects that you should watch out for. Report these your veterinarian, as they may wish to recommend a lower dose or advise a different course of treatment. You should always read the labels on melatonin products. Some contain other ingredients like xylitol, an artificial sweetener that is toxic to dogs. Some medications may interact poorly with melatonin, and some medical conditions may worsen with use of melatonin. You should always discuss these things with your veterinarian before giving your dog supplements or medication. Additionally, pregnant dogs or puppies should generally not take melatonin. 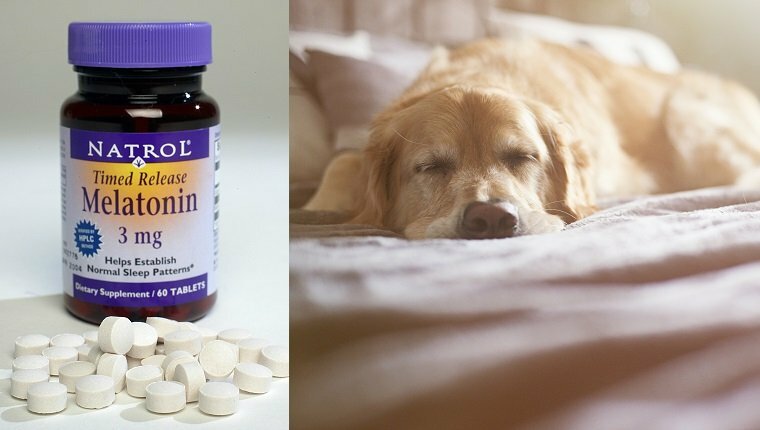 Has your dog taken melatonin supplements? Were they effective? Let us know in the comments below!